8-Bit Girl: Check out this Pacman stool! Check out this Pacman stool! If I had a bigger flat and a bigger budget...I'd definitely fill it up with excellent things like this! 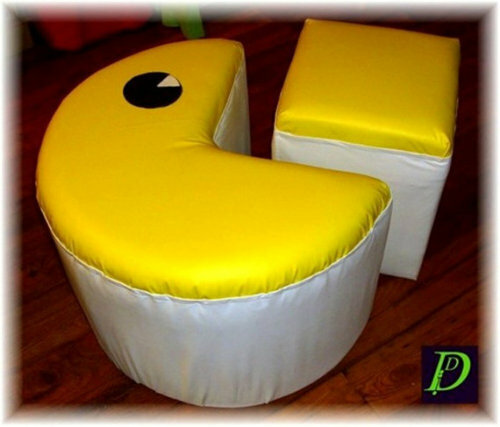 Check out this Pacman stool combo that is currently being sold on Etsy by Deutscher Design. Available for $195.00/£127.55, this stool comes in either yellow, red, brown, black or silver. Personally, I think the traditional Pacman yellow is by far the best!